Junior Savannah Bellem swings at a pitch against Concordia on Sunday, Feb. 26. 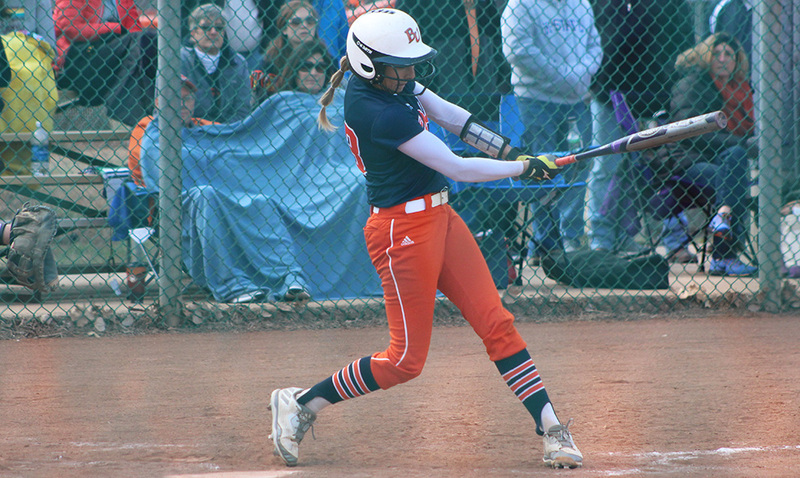 Bellem hit her first home run of the season against Concordia. Image by Justin Toumberlin. 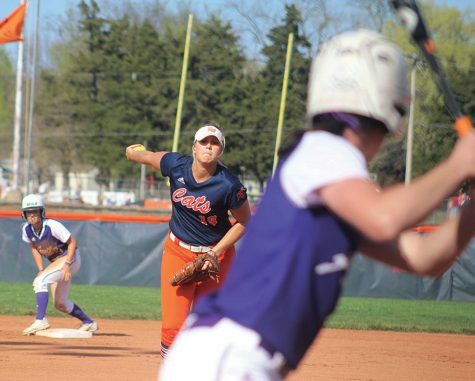 The Baker Wildcats’ softball team improved to 3-5 over the weekend after earning their first two wins of the season at McPherson. The Wildcats then faced Concordia in their home-opener doubleheader at Cavaness Field, going 1-1. The ‘Cats defeated the Bulldogs 9-6 in the first game and 6-5 in the second game. In game one, the Wildcats took a commanding 5-0 lead to start the fourth inning. Sophomore Caitlin Hardgrove went 4-5 with one run and one RBI for the Wildcats. Freshman Riley Swickard hit her third home run of the season while going 3-3 and collecting three RBIs. 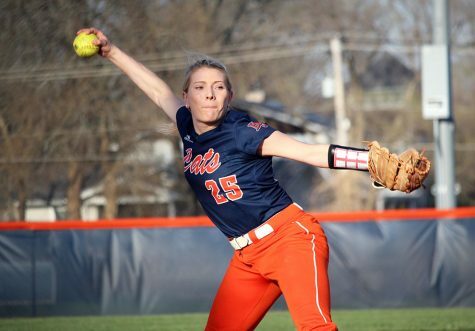 Pitching for the Baker was sophomore Olivia Brees who earned 12 strikeouts in the five innings. Junior Madison Nedved finished out the final two innings, allowing five runs. Even with a big seventh inning for the Bulldogs scoring four runs, the Wildcats were then able to plate three runs, finishing game one with a 9-6 win and the ‘Cats first victory this season. In game two against McPherson, the Bulldogs struck first by scoring two runs in the first inning. The Baker defense saw four different pitching changes. Senior Antionette Zamudio pitched the first four innings, giving up eight hits and registering one strikeout. Junior Teagan Louthan and junior Lexi Korte each stayed on the mound for .2 innings until Brees pitched the final 1.2 innings, earning four strikeouts and the win. Freshman Madison Allen led the Wildcats’ offense by going 3-4 with two RBIs. Hannah Flynn, Sydney Boaz and Lexi Korte each contributed one RBI for the Wildcats. 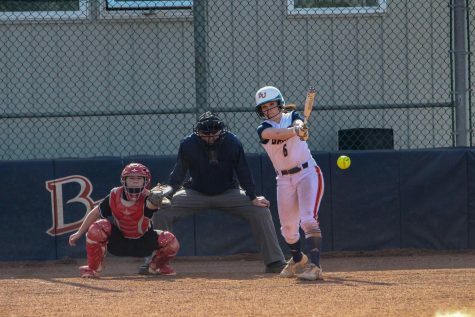 Two runs for the Wildcats in both the sixth and seventh innings put Baker above McPherson 6-5, completing the doubleheader sweep over the Bulldogs. 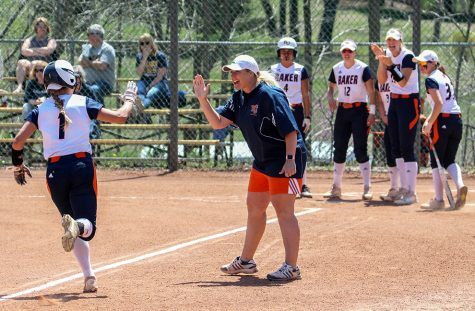 The team then traveled back to Baldwin City to face Concordia in the home-opening doubleheader on Sunday. Concordia began the game scoring two runs in the first inning, followed by another in the third inning. Concordia led the Wildcats 3-0 until the bottom of the third inning. 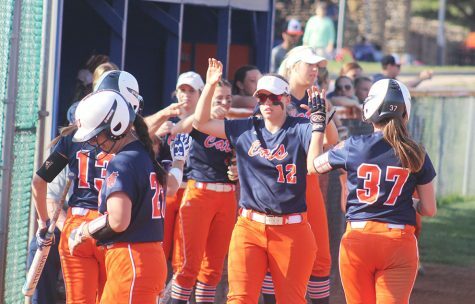 For Baker’s offense, Hardgrove led the Wildcats by going 3-4, while junior Savannah Bellem added a home run to the Wildcats’ score. The Wildcats ended up leading Concordia 4-3 going into the seventh inning. 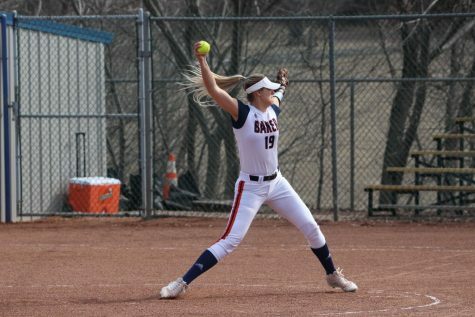 Brees pitched all seven innings for the Wildcats, earning seven strikeouts and closing out the Wildcats’ victory. In the final game of the weekend, Louthan started on the mound, pitching 5.1 innings and giving up four runs. Korte finished out the game, pitching the final 1.2 innings, giving up one run and earning one strikeout. 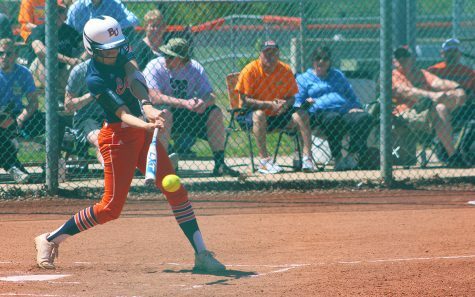 Baker was able to pick up one run in the fifth inning and two runs in the sixth but wasn’t able to beat Concordia’s Michaela Woodward to make up the final runs. 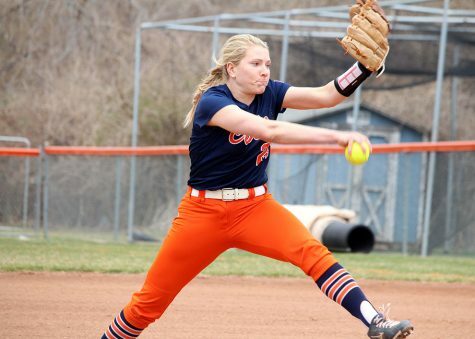 Woodward threw seven strikeouts against the Wildcats while pitching all seven innings. The Wildcats recorded one run in the fifth inning and two in the sixth inning, but Concordia was able to curb the Wildcats late in the game by allowing no runs in the seventh inning and earning the win with a final score of 5-3. The Wildcats will now travel to Wichita to face five different opponents in the Friends Invitational on March 3-4. The Wildcats will play against Kansas Wesleyan University, Sterling College, Bethany College, No. 1 Oklahoma City University and University of St. Mary. 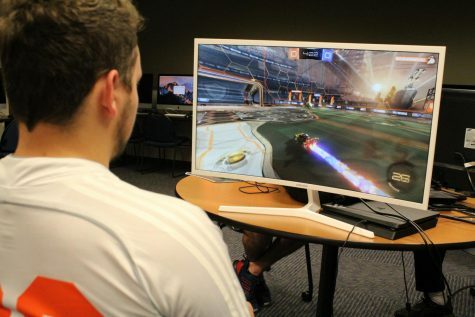 The Wildcats will have to face three opponents on the first day of the tournament, something that Hardgrove says will require motivation throughout the long day. 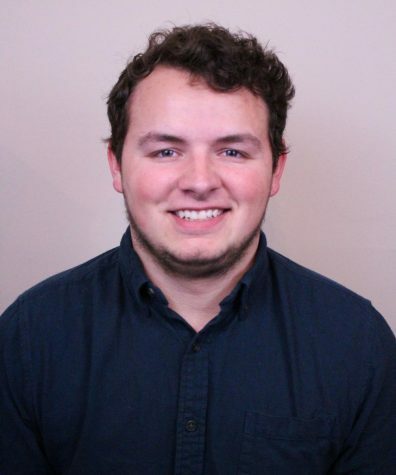 “Something coach has stressed a lot is attitude and effort, and with effort comes energy,” Hardgrove said.